Healthy Paws Insurance and Foundation was created by Steve Siadek and Rob Jackson after they met at a no-kill animal shelter and realized that there was a need for a way to help owners, or “pet parents” as they prefer to call them, deal with the financial burden of providing veterinary treatment. This belief has only grown along with the company, and they continue to do as much as they can to relieve the unforeseen costs of owning a pet. Great pet insurance for owners of small dogs and cats. Plans start from as low as $15 for cats and $25 for dogs, however the total cost depends on the deductible and reimbursement level that you choose. They have a one-size-fits-all plan and do have not any additional add-plans or upgrades, so every customer will receive the same amount of coverage. Our sample quote showed we could expect to pay $32.66 for a medium sized, mixed breed dog from Minnesota with a $250 deductible and 80% reimbursement rate. For a cat we got a quote of $21.07 for a domestic short-haired cat from Minnesota with a $250 deductible and 80% reimbursement rate. There is also a one time $25 setup fee added to your first payment. There is no wellness add-on coverage option, and all pets younger than 6 years of age must undergo a full vet examination within the 12 months prior to enrollment that has to be submitted to Healthy Paws and will cause your policy to be voided if not submitted. If any conditions are found during the examination they will be established as pre-existing conditions and not covered. Healthy Paws does warn that customers should expect rate premiums to increase slightly from year to year due to rising cost of veterinary care. Fortunately prices will never rise as a result of you filing a claim, not matter how many times you do. There is a 15 day waiting period after enrollment in order to be covered for accident or illness and if your pet is younger than 6 there is a 12 month waiting period to be covered for hip dysplasia. Also, pets being insured for the first time under Healthy Paws who are older than 6 cannot be covered for hip dysplasia. Healthy Paws is available in all 50 states and even covers pets that are temporarily in Canada. You can also visit any licensed veterinarian anywhere in the country. The list of problems that Healthy Paws excludes from coverage is quite long. 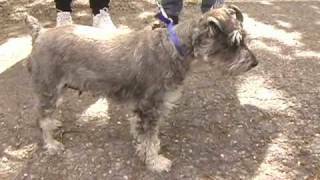 It includes; pre-existing conditions, veterinary examination fee, preventative care (i.e. spaying/neutering, flea/tick control, deworming, heartworm medication) dental cleaning, de-clawing, and micro-chipping. As well, hip dysplasia is not covered for dogs that enroll above the age of 6. They also do not cover behavioral training or issues. The maximum age for enrollment is 14 years for both cats and dogs. Healthy Paws allows you to choose three different options for both your reimbursement level and your annual deductible. The reimbursement levels you can choose are 60%, 70%, 80%, and 90%. The annual deductible amounts you can choose are $100, $250, $500 and $750. Both the available deductibles and reimbursement rates may change based on your pets age. The most popular are 80% reimbursement and $250 deductible. Owners should expect their claims to be processed within 3-10 business days, and will be reimbursed within 72 hours of Healthy Paws receiving medical records from your veterinarian. Healthy Paws has no annual or lifetime limits on payouts. The only thing preventing them from receiving a 10/10 for this category is that they do not offer a reimbursement level of 100%. Having a 100% reimbursement level would give owners with the peace of mind that they will be fully reimbursed no matter the cost. Healthy Paws unfortunately does not include a wellness add-on that covers routine check-ups. They do however include alternative care in their coverage, which provides things such as chiropractic care and acupuncture. Although they do not cover dental cleaning, dental problems that are a result of trauma are included in the coverage. Healthy Paws runs a foundation called “Every Quote Gives Hope” that provides medical grants for homeless pets. A percentage of each payment is given to this foundation to help fund the grants. 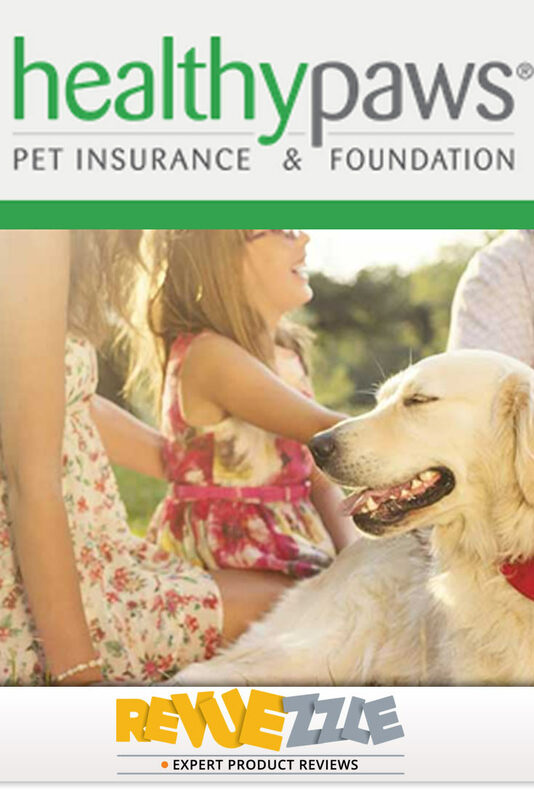 Healthy Paws was also the first pet insurance agency to create a mobile app. This app is available for both Android and iPhone and allows you to update your billing information, submit a claim, and check the status of your claim. This makes your interactions with Healthy Paws quick and easy. Enrolling with Healthy Paws is also very easy. You can set everything up online and only have to fill out 1 claims form. After that you never have to complete a claims form again. Healthy Paws has very good customer service. Their customer service team responded to an e-mail inquiry in an impressively short time with very useful and friendly advice. They can be reached by phone at 855-898-8991 or by e-mail at help@healthypawspetinsurance.com. They are available Monday-Friday from 6am-6pm PT and Saturday-Sunday from 8am-5pm PT. Pricing: Prices depend on breed, size, and age, as well as deductible and reimbursement level. Dog owners can expect to pay around $30/month small dogs, $32/month for medium sized dogs, and $38/month for large dogs. Cat owners should only expect to pay $21/month. *Sample costs are based on a 2 year old mixed breed pet from Minnesota with a $250 deductible and 80% reimbursement level. Contract Type: You will pay a yearly deductible along with a monthly fee. Enrollment Age: The lower limit of enrollment for a pet’s age is 8 weeks, and the upper limit is 14 years. Wellness: Healthy Paws does not offer a wellness plan for routine veterinary checks. They believe that “making the office visit part of the pet parent’s financial responsibility allows us to offer a complete accident and illness plan at an affordable monthly premium”. Deductible: Annual deductibles of $100, $250, $500. $250 is the most popular. Claims: There will never be an increase in price when claims are made. Limits: There are no limits on annual or lifetime claims with Healthy Paws! This is a great offer and can really ease the burden of a pet’s accident or illness. Special Coverage: Alternative treatments such as acupuncture and chiropractic care are covered. Healthy Paws is somehow able to maintain the balance between fairly low prices and unlimited coverage. However with their upper age limit of 14 years and no coverage for hip dysplasia for dogs over 6 years, Healthy Paws is best suited for younger, small dogs and cats. And for those pet parents looking for accident and illness insurance who are comfortable paying for wellness and dental out of pocket. The offer of no coverage limits as well as the foundation they run are examples of how much Healthy Paws cares about the well-being of animals. Unlimited lifetime and annual claims will be extremely helpful for any owner whose pet has to undergo expensive surgery. Healthy Paws is inexpensive when compared to other pet insurance companies that charge more per month and have low limits on annual and lifetime expenses. A reimbursement level limit of 90% means that owners can never be fully reimbursed for the costs of veterinary care. Having an option for a 100% reimbursement level would be very beneficial to some pet owners. Healthy Paws does not provide any coverage for routine wellness care, and unlike other pet insurance companies does not offer any add-on for this type of coverage. The list of problems that Healthy Paws does not cover is quite long. This means that owners are solely responsible for the costs of many common problems. You will be required to have your pet go through a full clinical examination by a veterinarian before coverage, and the fee for that exam is not covered. Any conditions that are found may well be established as pre-existing. Pets are living longer due to increased awareness on diet and health care, because of this it's unfortunate that Healthy Paws won't enroll any new pets that are over 14 years. There are other providers such as Figo, PetFirst and Pets Best who do not have upper age limits. Healthy Paws will not cover hip dysplasia issues for any pets who are 6 years old or older when enrolled. Healthy Paws is a company that truly cares about pets. Not only do they run the “Every Quote Gives Hope” foundation which pays for medical treatment for shelter animals, they also provide very friendly and welcoming customer service that makes you feel like a valued customer. They unfortunately do not offer a wellness plan which covers regular vet checks, and like all pet insurance companies they have a list of problems that they will not cover. Despite all of that, the no limit on annual or lifetime claims coverage that Healthy Paws provides is one of the best offers in the industry and it is extremely beneficial in providing peace of mind for all pet owners. An insurance company with a foundation to help homeless pets! Prices depend on breed, size, zip code, and age, as well as deductible and reimbursement level. *Sample costs are based on a 2 year old mixed breed from Minnesota with a $250 deductible and 80% reimbursement level. Don't have a pet yet or looking for another? Healthy Paws hosts adoption events and one could be in your area this year!